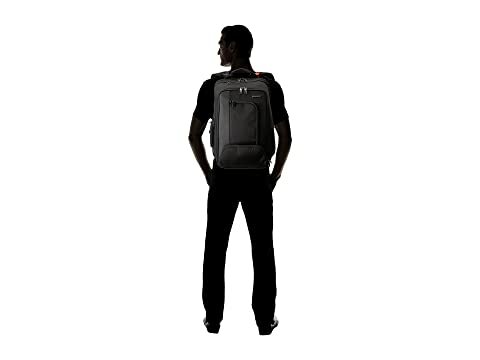 The Accelerate Backpack is from the Briggs & Riley® Verb Collection. 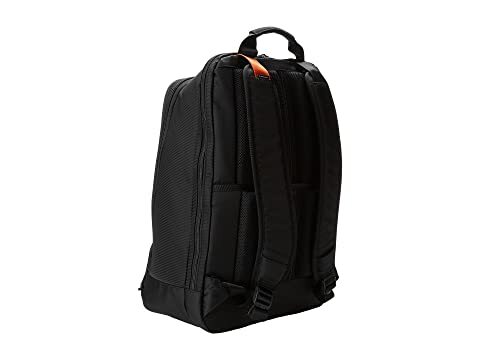 Accelerate your life and productivity with the Verb Accelerate Backpack. Computer sleeve can accommodate most 17" laptops. Constructed with a lightweight nylon twill fabric designed to resist moisture and abrasions. Self-repairing, durable YKK® Racquet Coil™ zippers with ergonomic zipper pulls. Cushioned shoulder straps provide a comfortable carry along your back. Top handle with soft grip offers an comfortable hand-carry option. The SpeedThru™ pocket allows you to easily keep your items stored at security checkpoints. Padded vertical zippered pocket on the front of the bag is perfect for a cell phone. Exterior also includes a porthole for headphones, a gusseted bottom pocket holds for cables or cords, and a zippered mesh water bottle pocket on the side. Forward zippered compartment features pockets for pens, business cards, flash stick, and more. Center zippered compartment features file dividers to keep all of your business paperwork organized. 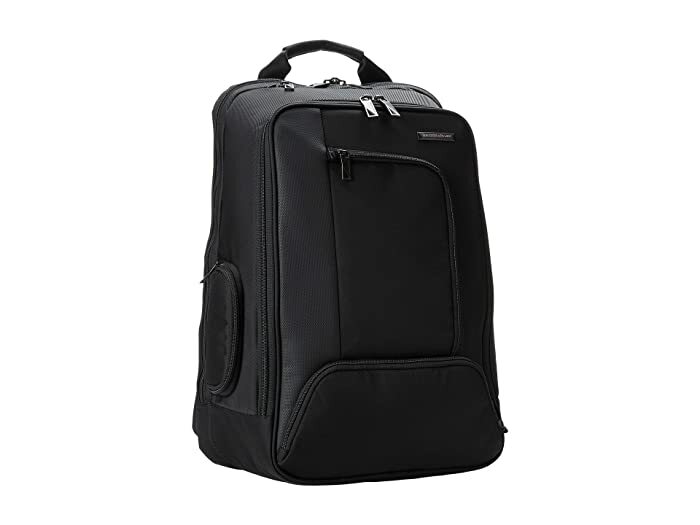 Rear zippered compartment is padded to protect your laptop during travel.